David B. Robbins: Government Contracts/False Claims Act Lawyer: Washington, D.C.
June 2016: In a three-part video series, David discusses suspensions and debarment and provides some tips on how best to navigate these challenging sets of circumstances. Click here to watch and access a transcript. Click here to watch this short video discussing future challenges affecting contractors in investigations and enforcement. David Robbins is a partner and a member of Crowell & Moring's Government Contracts Group. David is a strategic advisor for matters of utmost importance. David combines 20 years of experience in the government contracts and grants industry as a contractor, government official, and attorney. Clients and their Boards of Directors value David’s unique business perspective and deep knowledge of how to understand and influence the government’s perspective of critical issues, facts, and events. David’s broad practice includes False Claims Act litigation, complex internal investigations, strategic transactions, mandatory disclosures, claims, trade secrets litigation, ethics/compliance, conflicts of interest, fraud and public corruption defense, bid protests, and suspension and debarment matters. Director of Procurement Fraud Remedies for the Department of the Air Force, and the only fraud remedies coordination official in private legal practice. Air Force Suspending and Debarring Official (acting). Engility Corporation General Counsel Tom Miiller calls David "an invaluable partner to in-house corporate counsel at all levels. I have always had high confidence in his counsel, in part, because of his deep expertise in the government contracts compliance space, his knowledge of the government point-of-view and his common sense. He has an innate grasp of the business perspective and, as a result, offers meaningful flexibility in addressing difficult and complex problems. His interpersonal and communication skills make him a natural in the board room, when needed. Finally, his sensitivity to the legal costs incurred by his clients makes him the ideal business partner." David regularly speaks at government and industry conferences and events across the U.S. and internationally, including the Government Contracts Year in Review Conference sponsored by Thomson Reuters. He is the primary author and editor for the forthcoming book entitled The Procurement Fraud Guidebook: The System, Stakeholders, and Response Strategies to be published by the American Bar Association in 2019. David also co-hosts the “Fastest 5 Minutes, the Podcast Government Contractors Can’t Do Without,” which provides a biweekly summary of significant government contracts legal and regulatory developments. The podcast can be found at crowell.com/GovConPodcast. Led investigation and defense efforts following allegations of major fraud and False Claims Act violations in the services contracting industry; managed inquiries from multiple Offices of Inspector General and interactions with prosecutors and civil fraud attorneys. Investigated and successfully defended False Claims Act allegations against companies in industries including healthcare, services contracting, manufacturing, and disaster recovery. Defended multiple qui tam actions filed against clients in the construction industry. Active False Claims Act defense efforts include clients in services contracting, healthcare, construction, manufacturing, insurance, and small business set-aside markets and industries. Successfully defended company from allegations of criminal fraud in the disaster recovery contracting industry following issuance of target letter. No prosecution resulted. Successfully defended services contracting industry executive after receipt of target letter from U.S. Attorney’s office. Moved the executive from a target to a cooperating witness through multiple proffer sessions. Successfully defended several senior executives of services industry contractors following various allegations of criminal fraud. Active white collar criminal defense matters include clients in the services contracting, manufacturing, and foreign military sales markets and industries. Multiple engagements as special board counsel on procurement fraud investigations, impact on corporate strategy, and potential acquisition/diligence/sale issues. Board counsel to international business facing global anticorruption investigation and enforcement actions. Repeatedly engaged as special counsel to board members and senior management concerning issues identified in internal investigations of multi-million dollar contracts by professional services firms. Served as special counsel to ownership group and board of directors of an Intelligence Community contractor during parallel investigations by multiple Offices of Inspector General. Investigated allegations of accounting, pricing, and expense related misconduct in multi-year contract. Successfully resolved matter through contract modification and ratification of prior conduct, including payment to contractor of outstanding invoices. Investigated allegations of improper use of foreign nationals and non-U.S. citizens on government contracts. Successfully resolved allegations through contract administration and ratification of prior conduct. Conducted multiple investigations into allegations of bribery and Anti-Kickback Act violations, successfully preventing company liability in each instance. Investigated allegations of misconduct and human trafficking in international contracting. Investigated various matters alleging misconduct in supply chains, including suspected Anti-Kickback Act violations, sham suppliers, counterfeit parts, supplier cost and pricing misconduct, among others. Investigated allegations of Foreign Corrupt Practices Act and United Kingdom Bribery Act violations by foreign subsidiaries of U.S.-based companies. Investigated and successfully defended whistleblower reprisal allegations before multiple agencies including Department of Defense and NASA. Investigated and defended allegations of collusion in contract formation in construction-related contracts for civilian agencies. Investigated and defended allegations of Buy America Act and Trade Agreements Act violations in military department contracts. Successfully resolved dozens of suspensions and proposed debarments. Managed advance communications (including proactive disclosures as well as responding to Show Cause Letters and Requests for Information) with DoD and Civilian Debarring Officials concerning internal investigations, including allegations involving key senior executives. Successful representations include matters before: Departments of the Air Force, Navy and Army; Department of Homeland Security; Defense Logistics Agency; General Services Administration; Environmental Protection Agency; various Intelligence Community agencies; Department of Education; Department of Energy; Federal Highway Administration; Federal Transit Administration; and the World Bank, among others. Qualified as an expert in the application for, compliance with, and sanctions for noncompliance with personnel security clearances and facility security clearances. Testimony assisted in obtaining a multi-million dollar verdict. Routinely leverage senior government and contractor experience to mitigate business risk in the Mandatory Disclosure process. Regularly provide ongoing ethics and compliance counsel to contractors of all sizes and across industries, aligning with best practices. Provide training on ethics and compliance. Develop and evaluate effectiveness of ethics and compliance policies and procedures. Routinely advise buyers and sellers concerning government contracts aspects of corporate transactions. Serve as special board counsel and/or special counsel to financiers concerning issues arising in diligence. Proactively prepare contractors for sale by reviewing contract compliance and preparing for diligence. Investigate allegations of impropriety that arise during diligence, advising financial institutions, buyers, and sellers through this process. “Special Compliance and Ethics Considerations for Contractors,” Government Contracts "101" - Back to Basics, Washington, D.C. (October 10, 2018). Presenters: Trina Fairley Barlow, David Robbins, Gail D. Zirkelbach, Jana del-Cerro, and Nkechi Kanu. "Ethics and Compliance in a Consolidating Market," OOPS 2018, Crowell & Moring's 34th Annual Ounce of Prevention Seminar, Washington, D.C. (May 17, 2018). Presenters: David B. Robbins, Laura J. Mitchell Baker, and Stephanie L. Crawford. "Risk Management and Mitigation in the Supply Chain and Its Prime Contract," NCMA Workshop & Executive Leadership Training, Los Angeles, CA (October 19, 2017). Presenters: David B. Robbins, Christopher D. Garcia, and Daniel Wierzba. "Selling Your Business: From Founding to Managing Sale Proceeds," Crowell & Moring Webinar (May 19, 2017). Presenters: Richard B. Holbrook Jr., David B. Robbins, Sam Garbia, Marc Marlin, and Rick Schultz. "Investigations 201 - When Workers Blow the Whistle - Steps for Conducting Effective Investigations of Whistleblower Complaints," Crowell & Moring Webinar (May 10, 2017). Presenters: Trina Fairley Barlow, David W. O'Brien, David B. Robbins, and Christine B. Hawes. "Suspension & Debarment, Ethics & Compliance, Disclosures," OOPS 2017, Crowell & Moring's 33rd Annual Ounce of Prevention Seminar, Washington, D.C. (May 4, 2017). Co-Presenters: Peter Eyre, David B. Robbins, and Laura J. Mitchell Baker. "Not off the Hook: Corporate Monitoring After a Procurement Fraud or Suspension/ Debarment Matter." 23rd Annual Federal Procurement Institute, Annapolis, MD (March 16, 2017). Moderator: David B. Robbins. 23rd Annual Federal Procurement Institute, ABA Section of Public Contract Law, Annapolis, MD (March 15-18, 2017). Program Co-Chairs: David B. Robbins and John E. McCarthy Jr.
"Annual Government Contracts Review - FY 16/17: Fraud, Investigations, and Suspension & Debarment in Government Contracts," PubKLaw Webinar (December 15, 2016). Moderator: Peter Eyre; Panelists: David Robbins, Natalie Thingelstad. "Roles of Internal and External Evaluators of Ethics & Compliance Programs," ABA Public Contract Law Section Ethics, Compliance, and Professional Responsibility Committee Event (December 8, 2016). Moderator: David Robbins; Panelists: Robert Meunier; Tom Caulifield; W. Dan Blalock; Normand Lussier. "Fair Pay and Safe Workplaces Training with the Coalition for Government Procurement," Tysons, VA (October 6, 2016). Panelists: Robert A. Burton, David B. Robbins, Trina Fairley Barlow, and Jason M. Crawford. 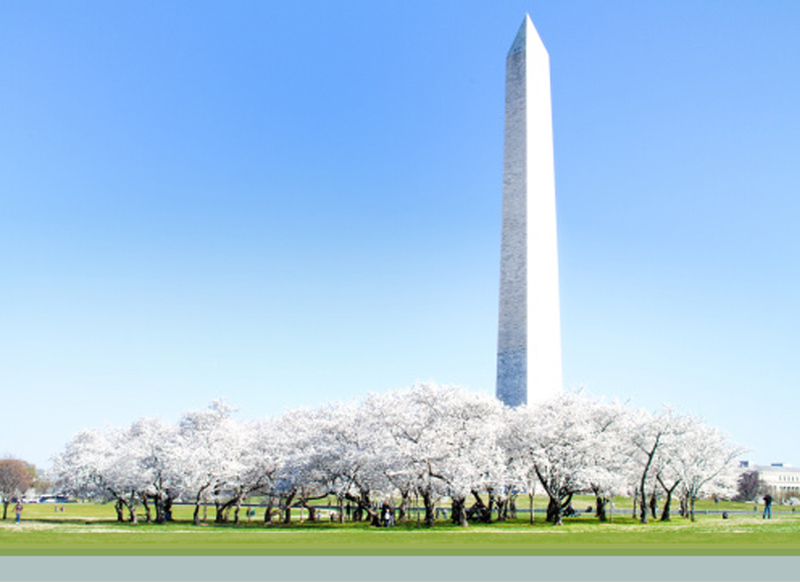 "Investigations – Part II: Interacting with Regulators," OOPS 2016, Crowell & Moring's 32nd Annual Ounce of Prevention Seminar, Washington, D.C. (May 25-26, 2016). Moderator: David B. Robbins; Panelists: Kelly T. Currie, David C. Hammond, Brian Persico, and Maria Swaby. "How to Interface with the Government When You Get in Trouble," WOOPS 2016, Crowell & Moring's 32nd Annual West Coast Ounce of Prevention Seminar, Marina del Rey, CA (May 18, 2016). Moderator: Gail D. Zirkelbach; Panelists: Kelly T. Currie, Janet Levine, and David B. Robbins. "Communicating Ethics Across Workplace Generations," Webinar (March 16, 2016). Moderator: David B. Robbins. “Acquisition Workshop Training,” National Contract Management Association (NCMA) Workshop and Executive Leadership Training, Hawthorne, CA (September 17, 2015). Speaker: David B. Robbins. “An Insider’s Guide to Recent Suspension, Debarment, Procurement Fraud, and Compliance Developments,” National Contract Management Association (NCMA)/South Bay Chapter Grand Opening Workshop and Dinner Meeting, Los Angeles, CA (September 23, 2014). Executive Key Note Speaker: David B. Robbins. “Mandatory Disclosure – Time for Revision?” ABA Section of Public Contract Law – Meeting of the Procurement Fraud Committee, Washington, DC (April 10, 2014). Speaker: David B. Robbins. "Suspension And Debarment: FY 2018 By The Numbers," Law360 (October 30, 2018). Authors: David B. Robbins, and Laura J. Baker. "How To Handle Ethics-Related Disputes," National Defense Ethics Corner (May 30, 2018). Author: David B. Robbins. "NDAA Lobbying Restrictions – No As Onerous As Many Seem to Fear," Crowell & Moring's Government Contracts Legal Forum (February 20, 2018). Authors: David B. Robbins and Peter J. Eyre. "Space 'Watch List' Can Exclude Contractors Without Due Process," Bloomberg BNA (2017). Authors: David B. Robbins, and Gail D. Zirkelbach. "Suspension And Debarment: FY 2017 By The Numbers," Law360 (November 3, 2017). Author: David Robbins. "Not Your Grandfather’s Suspension & Debarment: How Contractors Can Prepare For and Defend Against Today’s Exclusions," Crowell & Moring's Government Contracts Legal Forum (May 22, 2017). Authors: David B. Robbins, Angela B. Styles and Peter J. Eyre. "The Art and Nuance of Defending Whistle-Blower Reprisal Allegations," Bloomberg Law Federal Contracts Report (January 17, 2017). Authors: David Robbins, Peter Eyre, Christine Hawes. "Contractor Whistleblower Protections Are Here to Stay," Crowell & Moring's Whistleblower Watch (January 3, 2017). Authors: David B. Robbins and Christine B. Hawes. "A Deep Dive Into FY 2016 Suspension, Debarment Stats," Law360 (November 7, 2016). Author: David B. Robbins. "State of Suspension/Debarment: FY2016 Statistics and the Impact on Small Businesses," Crowell & Moring's Government Contracts Legal Forum (October 18, 2016). Authors: David B. Robbins, Angela B. Styles and Peter J. Eyre. "C&M Publishes Article in BNA Federal Contracts Report on Whether the Exclusion Archives on SAM.gov Violate Contractors' Liberty Interests," Crowell & Moring's Government Contracts Legal Forum (September 29, 2016). Co-Authors: David B. Robbins, Jason M. Crawford and Laura J. Mitchell Baker. "A Scarlet Letter: Do the Exclusion Archives on SAM.gov Violate Contractors' Liberty Interests?" Bloomberg BNA Federal Contracts Report, 106 FCR 317 (September 27, 2016). Authors: David B. Robbins, Jason M. Crawford, and Laura J. Mitchell Baker. "Hiring the Right Monitor to Help Your Company and Not Hurt It," Corporate Counsel (August 18, 2016). Co-Author: David B. Robbins. "Rethinking Government Contracts Crisis Management: Do Your Mandatory Disclosures (or Lack Thereof) Increase Enforcement Crisis Risk?" Crowell & Moring's Government Contracts Legal Forum (June 13, 2016). Authors: David B. Robbins and Peter J. Eyre. "Importance of Disclosures and Cooperation During and After Internal Investigations," Crowell & Moring's Government Contracts Legal Forum (May 31, 2016). Authors: David Robbins, David Hammond, and Kelly Currie. "DoD And NASA Again Seek Changes to the Program Fraud Civil Remedies Act," Government Contracts Legal Forum (April 26, 2016). Authors: David B. Robbins, Peter J. Eyre, and Agustin D. Orozco. "Contractors Must Deal with Integrity Issues in Proposals," Law360 (March 16, 2016). Authors: David B. Robbins, Peter Eyre, Olivia Lynch, and Laura J. Mitchell Baker. "Rethinking Government Contracts Crisis Management: Identifying Risk Before a Crisis Begins," Crowell & Moring's Government Contracts Legal Forum (March 4, 2016). Authors: David B. Robbins and Peter J. Eyre. "The (Unacceptable) Cost of Growing Delays in the Suspension and Debarment System," Public Contract Law Journal, Vol. 45, No. 1 (Fall 2015). Authors: David B. Robbins and Laura J. Mitchell Baker. "Hallmarks of a Meaningful Suspension and Debarment Program," National Defense Magazine (March 2015). Co-Authors: David B. Robbins and Rodney A. Grandon, deputy general counsel (contractor responsibility) and suspending and debarring official at The Department of the Air Force. "2014 Cases That May Change Suspension, Debarment Practice," Law360 (January 5, 2015). Co-Authors: David B. Robbins and Laura J. Mitchell Baker.